Kanye West & #THECITIE #Nomorepartiesinla "My Psychiatrist Got Kids That I inspired..."
Los Angeles, CA, January 22, 2016	(Newswire.com) - ​​In regards to Kanye's new song "No More Parties in LA". "We were blessed with the opportunity to meet Kanye West, we've been so inspired with the work he has done and respect him for becoming the voice musically, for generations to come. He's a humble individual with a huge heart for family. Kanye West is truly a gentleman and a scholar." 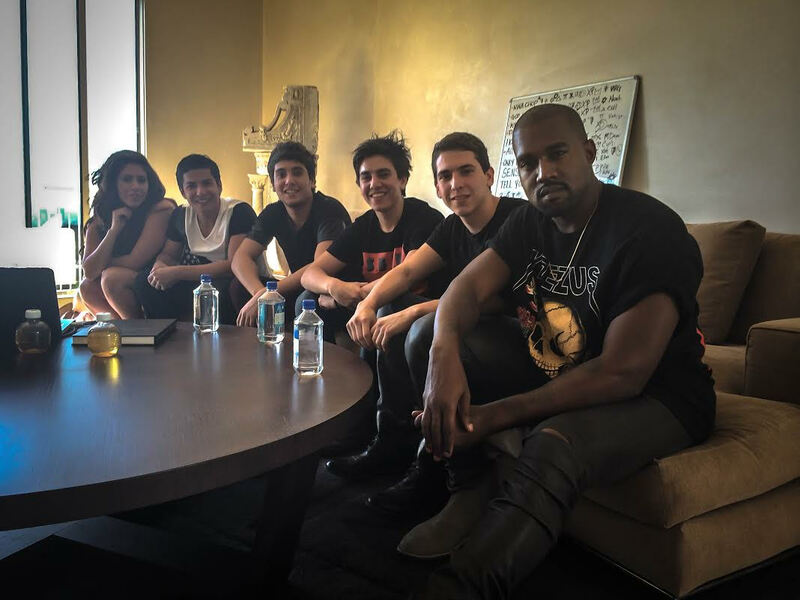 The CITIE had the opportunity to meet Kanye West and his family about a year ago, he gave them some insight into his achievements and accomplishments throughout his career. In turn they were able to share a bit of themselves, including some of their music. "Snowflakes" was the most recent single at the time. During the composition stage of this song the band went through some struggles. They lost quite a few friends to "parties in la" and from that they became unified. They wrote "Snowflakes" out of respect for their friends and loved ones known as #TheBurbankAngels. "This song hits home for all of us here in Burbank and those abroad." Currently THE CITIE is working very hard on their new Album which is expected to be released later this year. Living in their studio would be putting it lightly, this composition has a new sound, concept and hook. " Indefinitely we would like to give Kanye a huge "Thank You!" for what he has done. We respect the Visionary, respect the Movement and we respect the Music. @KanyeWest , #NOmorePartiesinLA , #NeverForgotten." The CITIE is a Los Angeles band based in Burbank, California. Daniel David Cohen, Adrian Gabriel Cohen, Casey Enrique Sandino & Jonathan Elias Cohen. First song they played for me was bout their friend that just died"
Providing Public Relations & Logistics for the Entertainment Industry. Functioning with clients established in Los Angeles, New York & Malaysia. BKR Public Relations is an established online communications and marketing agency.